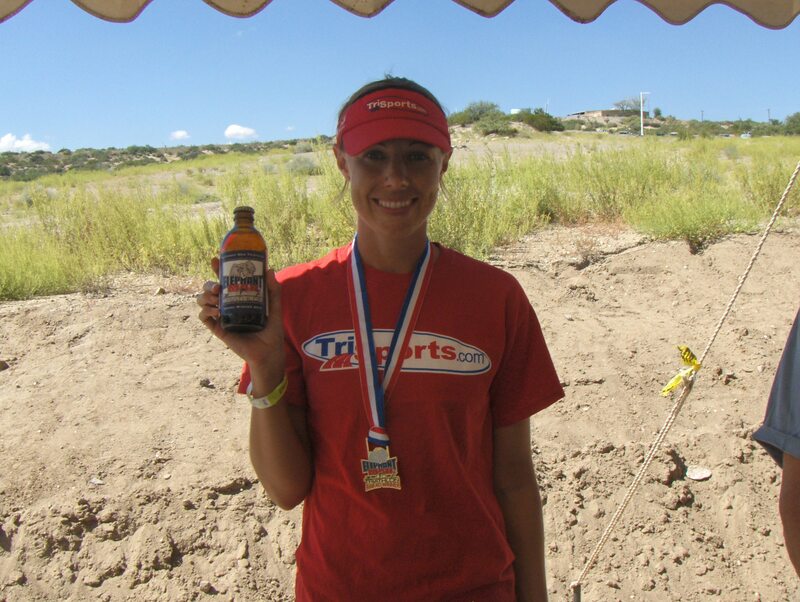 Accelerate 3 athletes were grabbing podiums all over the US this weekend. On a very windy day, Sarah smashed the women’s field on the bike, hung on during the run and won by over :30 at the Elephant Man Triathlon! Rich snagged a 6th in his age group at USAT Age Group Nationals. This is one step up from last year’s age group finish. An uncharacteristic swim put him a little further back then he has ever been. His top four bike and run splits catapulted him through the field. 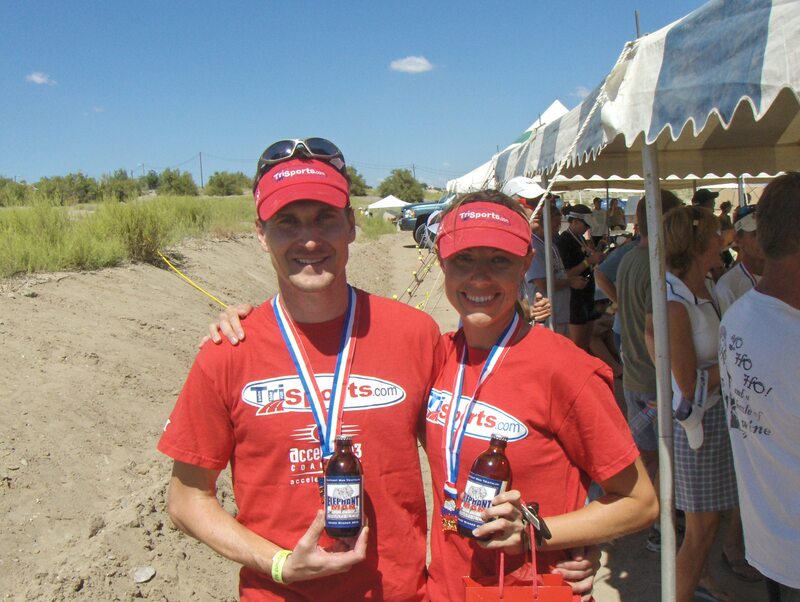 Billy grabbed 2nd Overall at the first Tri for Acts of Kindness Triathlon in Tucson, AZ. 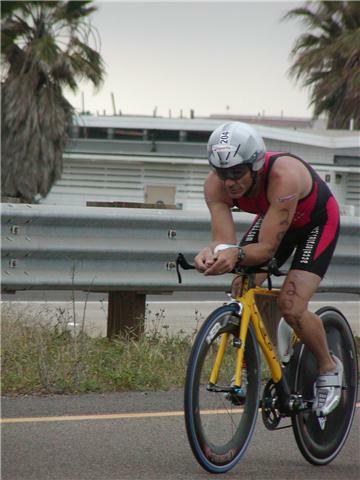 I crossed the line 7th overall, ended up 6th over all and won my age group at the Elephant Man Triathlon. The guy who finished 5th got a penalty for drafting off me in the bike. That moved me up. I was smashing the entire field in the choppy swim, well, except for the guy on my feet. He nipped me across the swim mat by :03. Trophy’s this year at Elephant Man were beer and bottle openers! Here we Sarah and I with our winnings! PreviousPrevious post:1000 milesNextNext post:A(nother) National Champion! Congrats to all! Way to go.